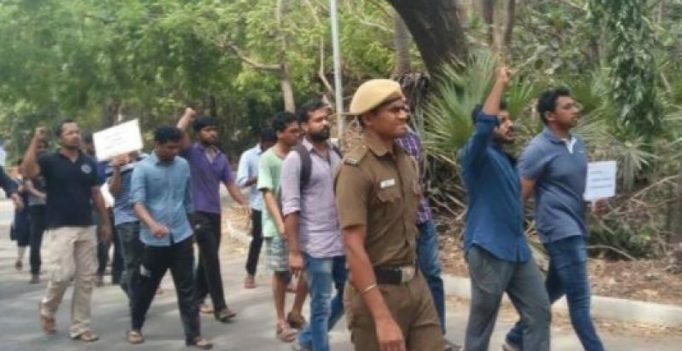 Chennai: Several students from the Indian Institute of Technology (IIT)- Madras protested here on Wednesday, asking for attackers of the PhD scholar R.Sooraj to be expelled. Sooraj was thrashed, according to a report in The Indian Express, by a group of students headed by an ABVP sympathiser for organising ‘beef fest’. Around 70-80 students marched towards the administrative block, claiming that the attackers were a threat to the safety of students. The protesters also demanded that the administration should bear all medical expenses incurred by Sooraj. 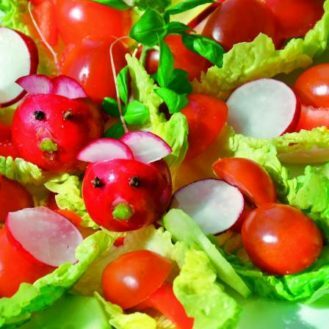 “We are strong on our demands. We want expulsion of attackers. This is the 4th time in 6 months that the Perpetrators have given threats (this time going all the way to physically assault) and no strict action was taken earlier even upon complaint. We definitely want expulsion this time,” one of the students told The Indian Express. The Dean had invited two representatives to talk with the administration. There were also protests outside the campus by student groups such as Revolutionary Students and Youth Front against the cattle ban and the attack on IIT scholar. The victim, R Sooraj suffered severe injuries in his right eye. A group of 70 to 80 students had held the ‘beef festival’ on Sunday evening to protest against the Centre’s notification. On the other hand, the Dravida Munnetra Kazhagam also held a protest on Wednesday against the Centre’s new cattle trade rules.